If you’re unhappy with your smile, you might be interested in getting Invisalign. First, though, you want to know the average cost of Invisalign. After you find out how much it costs, you’ll know if it’s the right treatment for you. If it is, you can schedule a consultation and move forward with your treatment. Let’s dive in and look at the average cost of Invisalign. It is impossible to determine the average cost of Invisalign since the cost of treatment depends on your unique needs. However, you can look at the cost range to get a better idea of how much you’ll pay. Invisalign usually runs from $3,500 to $8,000. If your teeth don’t require much straightening, you’ll be on the low end of the spectrum. If your teeth require lots of work, you might end up on the higher end. Simply knowing the average cost of Invisalign isn’t enough. You also need to look at payment options. Then you’ll realize that your payment options are more important than the average cost of Invisalign. It’s likely that you want to know the average cost of Invisalign to see if you can afford it. However, affording Invisalign is easier than you might think. If you have dental insurance, your policy might cover some of the treatment. Some policies cover Invisalign costs of up to $3,500. That makes Invisalign affordable for many people. If you don’t have insurance, you are likely still worried about how you’ll pay for it. You are no longer just concerned with the average cost of Invisalign, but how you can take the next step and get treatment. Fortunately, some offices offer payment plans. You can sign up for a plan and make monthly payments. If you qualify for a plan, you won’t have to worry about the average cost of Invisalign since you can make small monthly payments. If you want to find out how much Invisalign will cost for you, contact First Class Orthodontics at (516) 292-6484. Dr. Boral and the team at First Class Orthodontics specializes in Invisalign for children and adults. Our Franklin Square, NY office is conveniently located and is a top choice for those in Malverne Park Oaks, North Valley, and other nearby locations. When Should Children Have Their First Orthodontic Visit? Where Can I Find The Best Orthodontist In Franklin Square NY? Our team at First Class Orthodontics are experts in orthodontic treatment in Franklin Square NY. 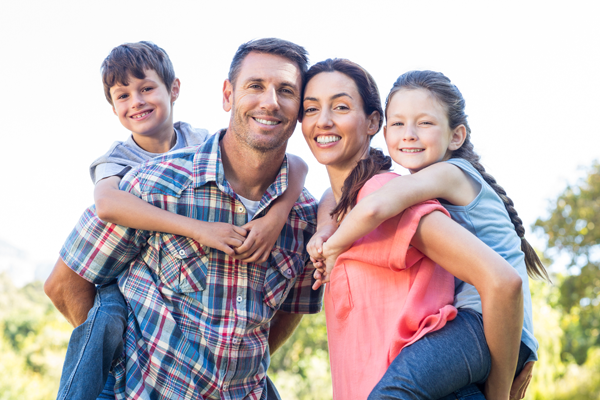 As a leading orthodontist, Dr. Boral specializes in treating patients of all ages and dental conditions. As a result, we are able to provide thorough and effective treatment that achieves optimal results as quickly as possible. When Should A Child Have Their First Visit With An Orthodontist? There is no set age for a child to have their first orthodontic visit. The American Association of Orthodontists recommends that children see an orthodontist around age 7, once their permanent teeth come in. At this age, many issues including uneven bite and overcrowding are apparent and treatable. Starting the process early allows a Franklin Square orthodontist to be able to identify problems and decide the best treatment options available. 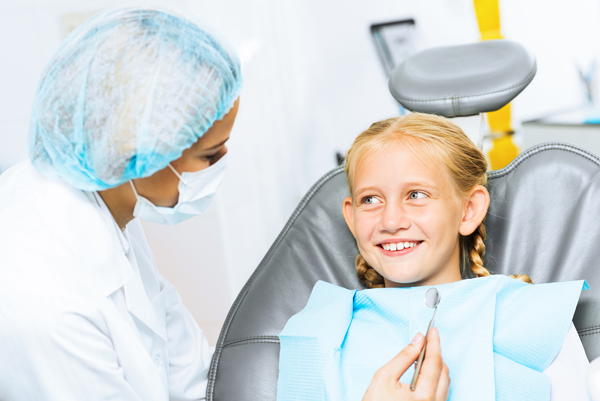 What Happens During A Child’s First Visit With An Orthodontist? At the first visit, a Franklin Square orthodontist examines your child’s teeth, mouth, and jaw. 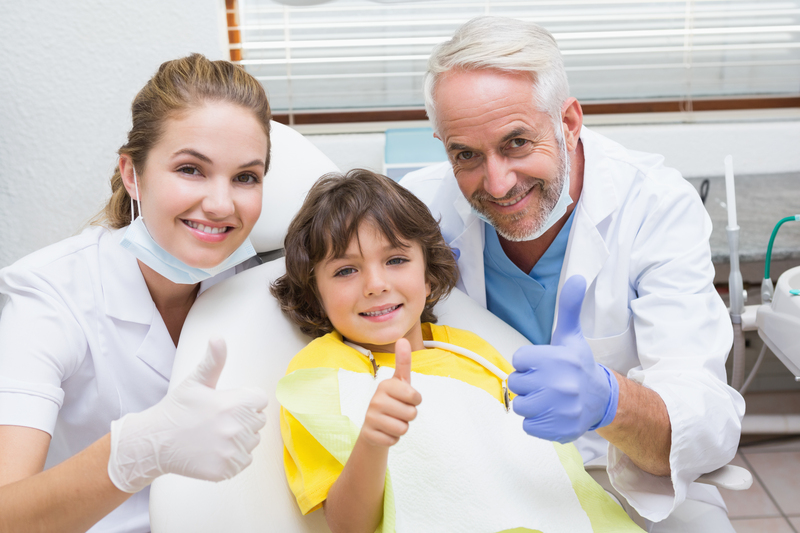 We evaluate a child’s current condition from teeth alignment, bite positioning, chewing functionality, and more to identify any arising problems. Dr. Boral may take X-rays of the teeth and mouth to see positioning and whether any permanent teeth are still coming in. These digital images allow for an orthodontist to determine the best form of orthodontic treatment available to fix the necessary issues. In conclusion, our team at First Class Orthodontics are experts in orthodontics. We are here to answer any questions or concerns you may have regarding braces, Invisalign, or when children should have their first orthodontic visit in Franklin Square NY, West Hempstead NY, Valley Stream NY, Elmont NY, and Garden City NY. Contact First Class Orthodontics today to schedule a free consultation. Call now (516) 292-6484. How Does Thumb Sucking Affect Teeth? Thumb sucking is a habit and natural reflex for children and infants. Sucking on thumbs, pacifiers, or other objects may create a feeling of security or soothe them to help with falling asleep. Thumb sucking is a stereotypical habit of babies, so it may feel unnatural to intervene. However, breaking the habit of thumb sucking is important to avoid causing developmental issues in the mouth. How Can Thumb Sucking Affect My Child’s Teeth? Once a child’s permanent teeth come in, thumb sucking may affect the proper alignment of the growth of teeth and jaw. The intensity of thumb sucking is a factor that determines the level of damage. Some children who are aggressive thumbsuckers may develop problems with their baby teeth early on. The force of thumb sucking can cause teeth to tip forward, which leads to complicated malocclusions such as open bites, crossbites, or overjets. These issues may require the need for orthodontic treatment such as braces or Invisalign later in life. What Are The Consequences Of Thumb Sucking? When Should Children Stop Sucking Their Thumbs? Children usually stop sucking their thumbs between the ages of two and four years old, or by the time their permanent front teeth start to erupt. If you notice abnormalities in your child’s primary teeth or are concerned about your child’s thumb sucking, consult with a Franklin Square orthodontist such as Dr. Boral. Remember, the older a child gets the more difficult breaking this habit can be. Dr. Boral and our team at First Class Orthodontics are experts in orthodontic treatment. We are here to answer any questions or concerns you may have regarding thumb sucking or how thumb sucking affects teeth in Franklin Square NY, West Hempstead NY, Valley Stream NY, Elmont NY, and Garden City NY. Contact First Class Orthodontics to schedule a free consultation today. Call now (516) 292-6484. Where Can I Find The Truth About How Alcohol Affects Your Teeth? Many patients wonder the truth of how alcohol affects your teeth. Our team at First Class Orthodontics specialize in orthodontic care. As a leading Franklin Square orthodontic office, Dr. Boral is dedicated to providing patients with the necessary knowledge to maintain a healthy smile. 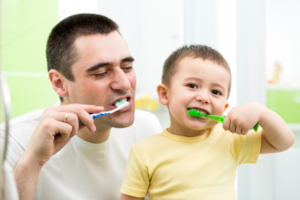 As a result, we treat patients of all ages for a wide range of dental needs. How Does Alcohol Affect Your Teeth? Staining – the color in beverages comes from chromogens, which attach to tooth enamel. Tooth enamel is compromised by acid in alcohol, which causes the staining of teeth. Dryness – beverages that are high in alcohol cause dryness in the mouth. Saliva keeps teeth moist and helps remove plaque and bacteria from the tooth’s surface. 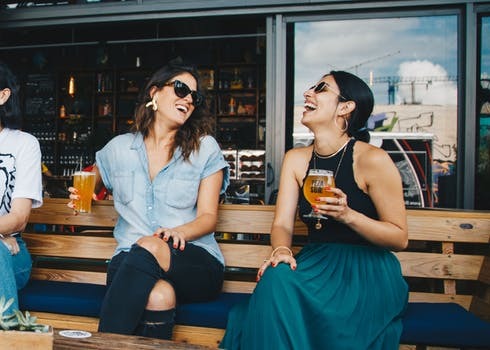 Other damage – tooth damage related to alcohol consumption is increased by chewing ice or adding citrus to your drinks, which can weaken or break teeth. Dr. Boral and our team at First Class Orthodontics are experts in dentistry and orthodontic care. 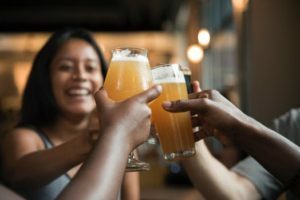 We are here to answer any questions or concerns you may have regarding how alcohol affects teeth in Franklin Square NY, West Hempstead NY, Valley Stream NY, Elmont NY, and Garden City NY. Contact First Class Orthodontics to schedule a free consultation today. Call now (516) 292-6484. Do Pacifiers Affect Babies’ Teeth? Many parents often wonder, “Do pacifiers affect babies’ teeth?” Pacifiers can provide babies with a soothing sensation, which keeps them content and provides a feeling of relaxation. However, frequent pacifier use may cause dental issues and complications as teeth develop. Our team at First Class Orthodontics will educate you on how it’s possible to give your baby a pacifier and avoid the problems it may cause. What Are The Benefits Of Pacifiers? Any parent who has seen a baby content with a pacifier doesn’t doubt the benefits of its use. 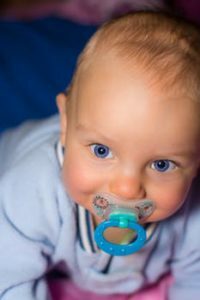 In fact, pediatric research shows that pacifier use in very young babies shouldn’t be discouraged, and the American Academy of Pediatric Dentistry advises that pacifiers are preferred over the habit of thumb-sucking. Pacifiers for babies have the power to provide pain relief, relaxation, and comfort whenever necessary. Doctors publishing with the American Academy of Family Physicians explain that pacifiers actually have a positive influence on kids between one and six months old. Children who use pacifiers have shown to have a reduced risk of sudden infant death syndrome. What Age Should My Baby Stop Using A Pacifier? Parents can avoid the risks of their baby developing pacifier teeth by weaning their baby away from the pacifier by age two. By this age, some dental effects may be seen, but the greatest changes appear in children older than four years. Pacifiers have also shown to increase the risk of ear infections in babies older than six months. What Are The Effects Of Pacifiers On A Babies’ Teeth? The long-term use of a pacifier changes mouth shape and the alignment of teeth. According to the American Academy of Pediatric Dentistry, the overuse of pacifiers affects mouth and teeth development the same way as long-term thumb-sucking. As a child’s upper front teeth tip forward, teeth may become crooked, which leads to biting problems. There may also be changes in jaw alignment and tooth positioning. The American Dental Association states that other symptoms of pacifier teeth include open bite and changes on the roof of the mouth. How Do I Stop My Baby From Using A Pacifier? At First Class Orthodontics, we understand that encouragement and praise are the best tools for breaking a pacifier habit. Praising your baby for not using a pacifier, and providing a reward can create a sense of motivation to stop. If children use pacifiers when feeling anxious, try avoiding stressful situations and offering cuddles and other comforts. For young babies who need some extra soothing at times, pacifiers provide the perfect feeling of reassurance. As long as pacifier use doesn’t become frequent, there is no risk of developing pacifier teeth. Dr. Boral and our team at First Class Boral Orthodontics are experienced in pediatric dentistry. 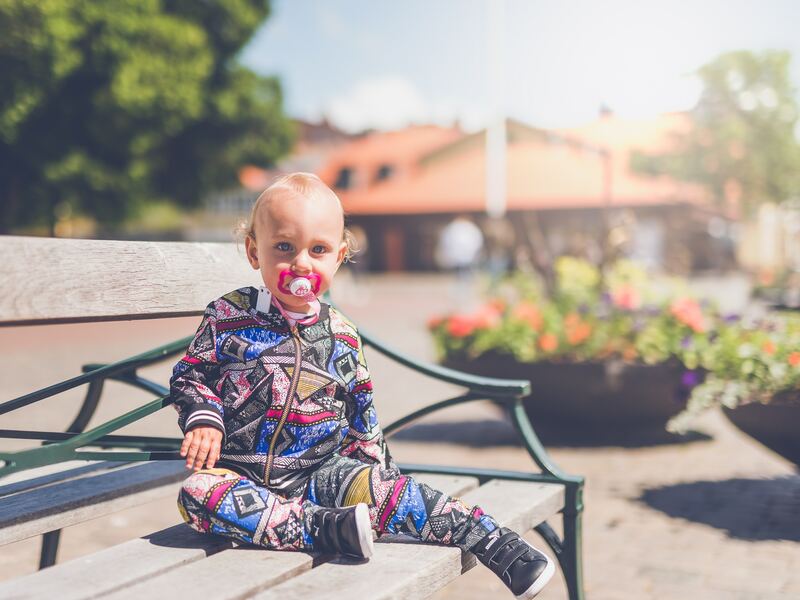 We are here to answer any questions or concerns you may have regarding your baby’s teeth or how pacifiers affect a babies’ teeth in Franklin Square NY, West Hempstead NY, Valley Stream NY, Elmont NY, and Garden City NY. Contact First Class Orthodontics today to schedule a free consultation. Call now (516) 292-6484.